Cache rotule. Diamètre intérieur: 50 mm. Convient à toutes les boules de remorquage, y compris le col de cygne. Replacement Locking Wheel Nuts High Quality 4 Nuts Supplied 2 Locking Keys 12mm x 1.5mm Seat Type: Flat Key Size: 21mm For use on Alloy or Steel wheels. PLEASE NOTE BEFORE ORDERING Please make sure BEFORE ordering that you lake a look at your original size and thread as manufactures has a tendency of changing specifications from time to time an can not be responsible if you order the wrong ones. PLEASE NOTE Important notice BEFORE ordering Please DO NOT rely on the compatibility list to make your decision of parts, as cars come with many variations and fitments on the same make and models. Check things like dimensions size and other stated fitment criteria prior to ordering to make sure you get the correct part as vehicle parts can have more than one option due to . SECURITY PADLOCK AND HASP Heavy duty chrome plated steel 73 mm shackles padlock Supplied with 2 keys and 2 part shrouded hasp Ideal for van doors, sheds, garages and general security Do not wait till you valuables get stolen protect them with this lock before its too late PLEASE NOTE NO BOLTS ARE INCLUDED WITH THIS SECURITY LOCK Fast Dispatch. FOR :VAUXHALL TIGRA 2006-ONWARDS. All you need to do is remove one of the standard bolts from each wheel using a wheel wrench. Take off zinc plated covers from each locking nut and fit the locking bolt using unlocking key included in a box. FOR :JEEP WRANGLER 1987-ONWARDS. All you need to do is remove one of the standard nut from each wheel using a wheel wrench. Take off zinc plated covers from each locking nut and fit the locking nut using unlocking key included in a box. FOR :MITSUBISHI L200 ALL MODELS. All you need to do is remove one of the standard nut from each wheel using a wheel wrench. Take off zinc plated covers from each locking nut and fit the locking nut using unlocking key included in a box. 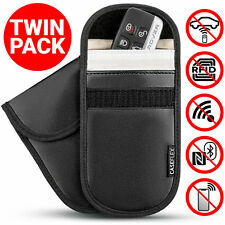 Anti Theft Key Fob Pouch - Prevents your key fobs and credit cards from being cloned. Fully blocks a key fobs proximity signal. Big enough to take multiple key fobs. The Defender Signal Blocker Pouch has a unique material and composition for maximum performance. A top performance new design Rocwood auto security lock to prevent car theft by stopping the car steering wheel from rotating. Anti-theft steering wheel lock. Fits most car steering wheels, with a steering wheel thickness no greater than 35mm. This High Security Hitch Coupling Lock Is Designed To Lock A Caravan Or Trailer Hitch Coupling To Prevent Theft When The Caravan Or Trailer Is Stationary. It Can Also Be Used While The Trailer Is Connected To A Car Which Will Prevent Anyone From Uncoupling The Trailer And Towing It Away. A high quality alloy and leather three-direction design Rocwood lock. The steering wheel is locked at the left side, right side and the over the air bag. The Rocwood lock is suitable for cars with a more modern thicker steering wheel and with an adjustable air bag locking arm it is suitable for most makes and models. Stencils x 8 ( 1 sample etch) Sachet of etching cream x 1. It is the only etching system to fully comply with BSI BS AU 209/3. FAQ Q. Why do I need to etch the vehicle number onto the windows?A. Security marking is a. Cut off, can not pry, drilling do not wear, cut fixed! Application: Cars, Trunks Clutch Pedal, Accelerator. 1x 8 Holes Pedal Lock & 3 Keys. The lock position is better hidden, is the essence theft. 1 x Best Auto Anti-theft Device Clutch Lock Car Brake Stainless Strong Security Tool. All you need to do is remove one of the standard bolts from each wheel using a wheel wrench. Take off zinc plated covers from each locking nut and fit the locking bolt using unlocking key included in a box. 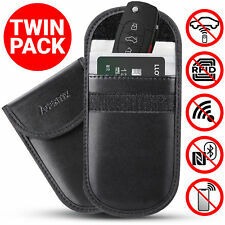 Suitable for keyless go systems, car keys, cards with RFID chip such as credit cards, ID card. 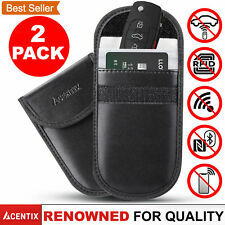 The inner case is lined with a specially RPF material that blocks any incoming or outgoing RFID signals. Please read all item description This 4 piece locking wheel nut remover set is manufactured from heavy gauge impact steel, the set contains 17mm, 18.5mm, 21.5mm and 26mm wheel nut removers 38mm long for removing most locking wheel nuts when the key has been lost Please Note There is no returns on this item if it does not fit your car as there is so many variations of locking bolts on the market. But there has being a vast selection of bolts that it can remove. This tool is not made to remove bolts that have collars that rotate on the outside of the locking bolt. Some People without any other option choose to break them off and then try the variation of sizes of the tool we supply to grip on to the lock and remove them. Laser tools come with a 1 year manufacture warranty. 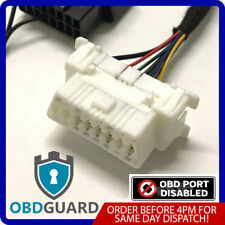 FOR :BMW 5 E12, E28, E34, E39, E60, E61. All you need to do is remove one of the standard bolts from each wheel using a wheel wrench. Take off zinc plated covers from each locking nut and fit the locking bolt using unlocking key included in a box. The Stoplock Airbag /4 x4 Steering Wheel Lock has been specially developed for vehicles with bigger steering wheel like 4 x4s or vans. The Stoplock Original fits most vehicles. Box Contains 1 x steering wheel lock. Stoplock Airbag. Flashing warning LED. 10,000 key combinations. Change Of Mind. Designed for larger vehicles and large airbags. Faulty Goods. 21-03-2019 15:22:29. 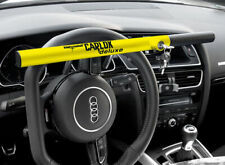 THIS HEAVY DUTY STEERING WHEEL LOCK IS IDEAL TO PREVENT CAR/VAN THEFT. SUPER STRONG STEERING WHEEL LOCK BAR. ITEM- 1 STEERING WHEEL LOCK AND 3 KEYS. TYPE-UNIVERSAL. FOR :MG ZR 1998-2005. All you need to do is remove one of the standard nut from each wheel using a wheel wrench. Take off zinc plated covers from each locking nut and fit the locking nut using unlocking key included in a box. CAR WHEEL CLAMP. 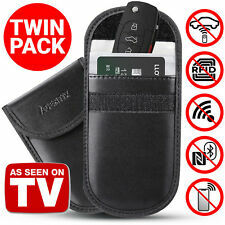 Supplied with 3 security keys. SAFETY LOCK. 1 CAR wheel clamp. The lock can be easily closed without a key (push to close). - TAKES A FEW SECONDS TO LOCK AND UNLOCK. Suitable for all vehicles with a tire width up to 265 mm. Alloy / Steel Wheel Locking Bolt Set High Quality Pack Includes: 4 Locking Bolts 2 Keys Thread Size: 12mm x 1.25mm x 35.1mm Seat Type: Flat Key Size: 19mm PLEASE NOTE BEFORE ORDERING Please make sure BEFORE ordering that you lake a look at your original size and thread as manufactures has a tendency of changing specifications from time to time an can not be responsible if you order the wrong ones. Fast Dispatch PLEASE NOTE Important notice BEFORE ordering Please DO NOT rely on the compatibility list to make your decision of parts, as cars come with many variations and fitments on the same make and models. Check things like dimensions size and other stated fitment criteria prior to ordering to make sure you get the correct part as vehicle parts can have more than one . For use with VW T5/T6 Transporter including variants including Caravelle, Kombi, California etc…. Volkswagen T5 & T6 Spare Wheel Anti theft device. Channel Islands, Isle of Man, Isle of Scilly, Isle of Wight, Scottish Isles, Scottish Highlands and N.Ireland, Republic of Ireland. You do not have to give any reason for cancellation. All products are individually inspected before being dispatched, to ensure they are sent out in perfect condition. Alloy / Steel Wheel Locking Bolt Set High Quality Pack Includes: 4 Locking Bolts 1 Key Thread Size: 12mm x 1.5mm x 23mm Seat Type: 60° Taper Key Size: 17mm PLEASE NOTE BEFORE ORDERING Please make sure BEFORE ordering that you lake a look at your original size and thread as manufactures has a tendency of changing specifications from time to time an can not be responsible if you order the wrong ones. Fast Dispatch PLEASE NOTE Important notice BEFORE ordering Please DO NOT rely on the compatibility list to make your decision of parts, as cars come with many variations and fitments on the same make and models. Check things like dimensions size and other stated fitment criteria prior to ordering to make sure you get the correct part as vehicle parts can have more than one option. Quality alca Germany ®. alca Germany IS A LEADING GERMAN MANUFACTURER. Baseball bat type. Steering wheel lock with keys. theft protection with quick fitting. for quick blocking of steering wheel. for all steering wheels. FOR :CITROEN C-CROSSER 2007-ONWARDS. All you need to do is remove one of the standard nut from each wheel using a wheel wrench. Take off zinc plated covers from each locking nut and fit the locking nut using unlocking key included in a box. 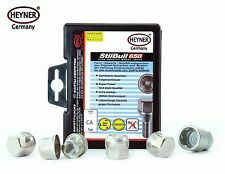 HEYNER STILBULL PREMIUM WHEEL LOCKING BOLT FOR SPARE WHEEL HELP TO PROTECT YOUR VALUABLE WHEELS AND TYRES FROM THEFT WITH A SET OF HEYNER WHEEL LOCKING BOLTS! All products are directly imported from Germany to our warehouses in the UK. STANDARD: Gearstick to handbrake distance 165mm - 250 mm. MINI: Gearstick to handbrake distance 135mm - 165 mm. Anti-theft grear shift and break lock. Simple and quick to lock and unlock. You do not have to give any reason for cancellation.